Approximately 6.8 million Americans use devices to assist with their mobility. The U.S. medical device market accounts for 40% of the global market and the Department of Commerce estimates that the U.S. exports $44 billion in medical devices annually. Of these devices, many involve the use of bone grafting technology. Bone grafting is a surgical procedure that replaces missing bone in order to repair complex bone fractures that pose a health risk to the patient or fail to heal properly. The needs for bone grafts can be caused by various injuries, including bone fractures. On average, bone fractures heal in two to ten weeks. The four most common reasons people receive bone grafts are multiple fractures that fail to heal properly, fusion to help two bones heal across a damaged joint, bone regeneration following disease or injury, and for healing bones following implantation of medical devices such as joint replacements. A 16-year study of two million bone graft patients discovered that 83% of bone grafts involve autogenous bone grafts harvested from the patient; 17% involved artificial bone graft substitutes. A 16-year study of two million bone graft patients found doctors and patients in the United States are moving from traditional bone graft devices to bone graft substitutes. On the leading edge of bone grafting technology is SurGenTec’s GraftGun® Graft Delivery System (GDS®), which is designed to provide universal, quick, and accurate bone graft delivery to a surgical site without the issues associated with a traditional funnel. Its patented, controlled release bone grafting technology safely dispenses bone graft with sufficient pressure to easily fill any bone void during bone graft surgery. The Graftgun® Graft Delivery System® includes SurGenTec’s loading device, a technology which gives surgeons the freedom to choose the bone graft that best suits their needs. 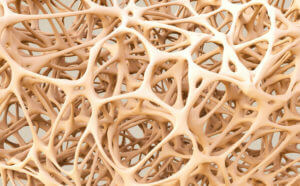 This medical technology can help provide the best possible results for bone graft procedures. By using our patented GraftGun®, instead of the traditional funnel, bone grafting can become less invasive and more accurate. SurGenTec’s Bone Graft Delivery Devices® are developed with both surgeon and patient in mind. SurGenTec also recently announced the successful completion of the clinical launch of its new GraftGun® bone graft delivery system combined with ViBone Viable Bone Matrix prefilled tubes.